This year was one of our busiest ever, and the end of the school year seemed to just get out of control. We were so busy that I would go straight from work to multiple activities, with barely any time for even a proper meal. Needless to say, these are the times I am not doing a great job taking care of my health or taking supplements. I want to refresh my health and beauty routine, and NeoCell is an easy way to start. 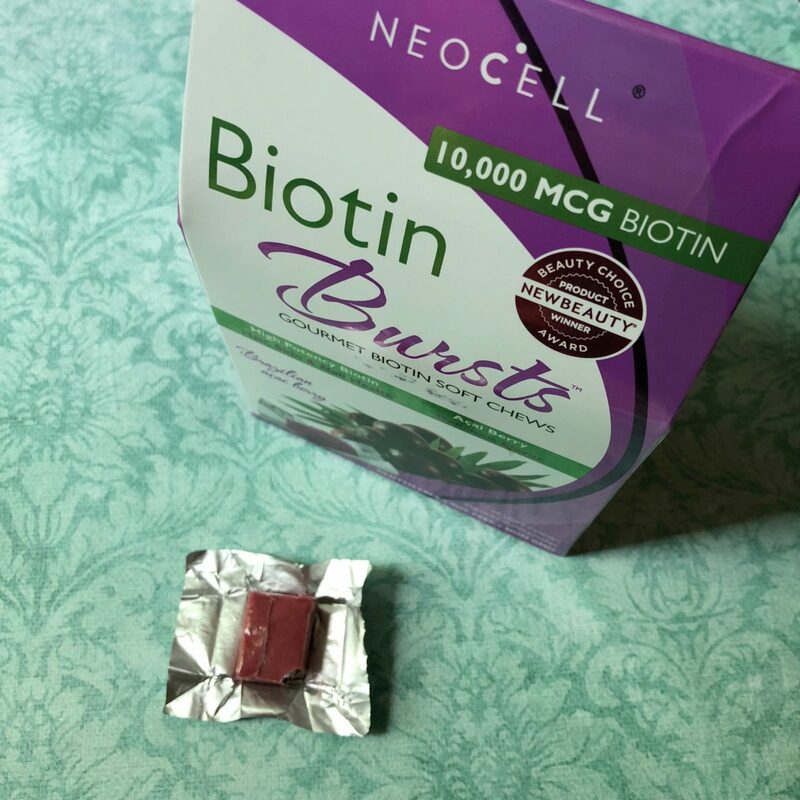 I was excited to try Neocell’s Biotin Bursts, which is about as easy – and fun – as it is to take a supplement! Biotin is a B-vitamin that is an essential element for beauty, from hair to nails to skin. I am loving these benefits, as who doesn’t want healthier hair, skin or nails? I work in a greenhouse, and my hair and nails takes a beating between all the different tasks. These little Acai Berry chews are individually wrapped, which make them easy to eat whenever, and even on the go. They are absolutely delicious as well, and are a nice little treat. It’s so nice to be able to just grad one and go, without the usual routine of trying to remember to take pills. 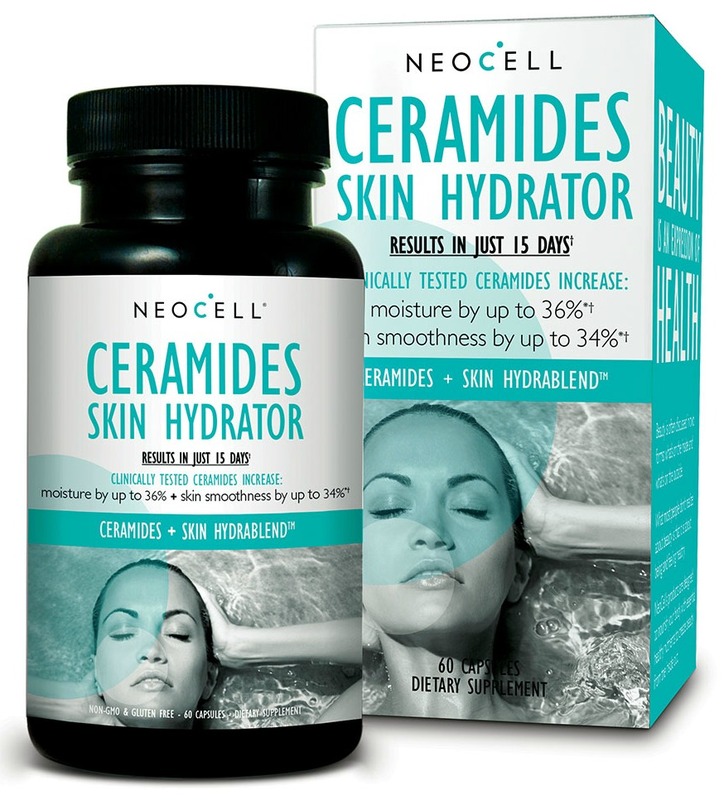 Another product I was excited to try from NeoCell is their Ceramides Skin Hydrator. 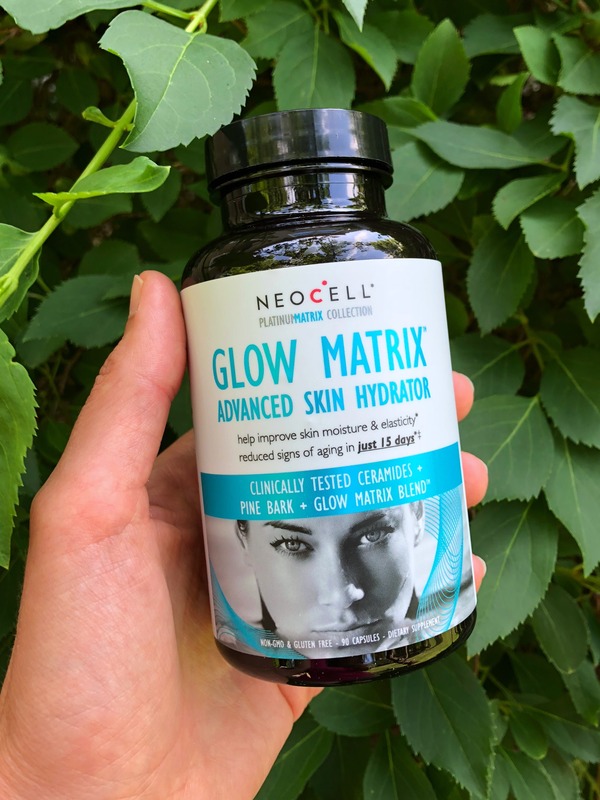 This supplement is packed with nutrients, including Hyaluronic Acid, Ceramosides Phytoceramide Extract, Lutein, Pine Bark Extract, and Astaxanthin. I started a routine of taking 2 capsules every morning before breakfast. I have been more conscious of my skin recently as I turned 40 this year, and am trying to take better care of my health and skin. I noticed that my skin looks smoother in general, even despite the summer weather. My skin usually struggles between the sun, sunscreen, sweating, etc). 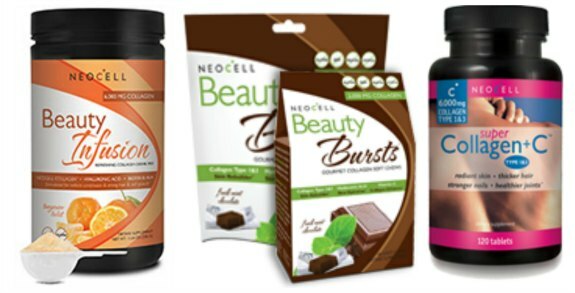 These are just a few of the great NeoCell products out there – be sure to check out the others! Another one of my faves is their NeoCell collagen, which I try to remember to put a scoop in my coffee or tea every day! 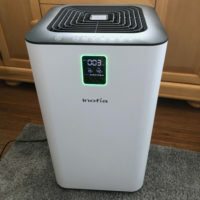 You can purchase NeoCell products on their website or Amazon.com. I HAVE to try this! My skin gets so dry, and it’s always dry – winter or summer. This looks great. Ah I remember trying this brand many years ago! They make a facial mist I really enjoyed I (wonder if it’s still available). I used to take the Neocell collagen pills. I forgot to buy more when I ran out. I liked those a lot. I didn’t know about their other products. I need to check out those biotin bursts. It’s really important to make sure that you don’t forget about your well being when you’re especially busy with life and with work. I think it’s nice that you found these supplements! They sound amazing and helpful! I haven’t heard of this product before, but it sounds like a good one. I would love to check it out sometime. Thanks for sharing. I’m always interested in learning about new products to make my skin look healthier. Thanks for sharing! These products look very interesting. Will have to look into them. My Mom tried a NeoCell product a while back and liked it. These sound interesting, who wouldn’t want to look more youthful! I really like their products. I have the collagen powder supplement and it is great!